Yup, you read it right. 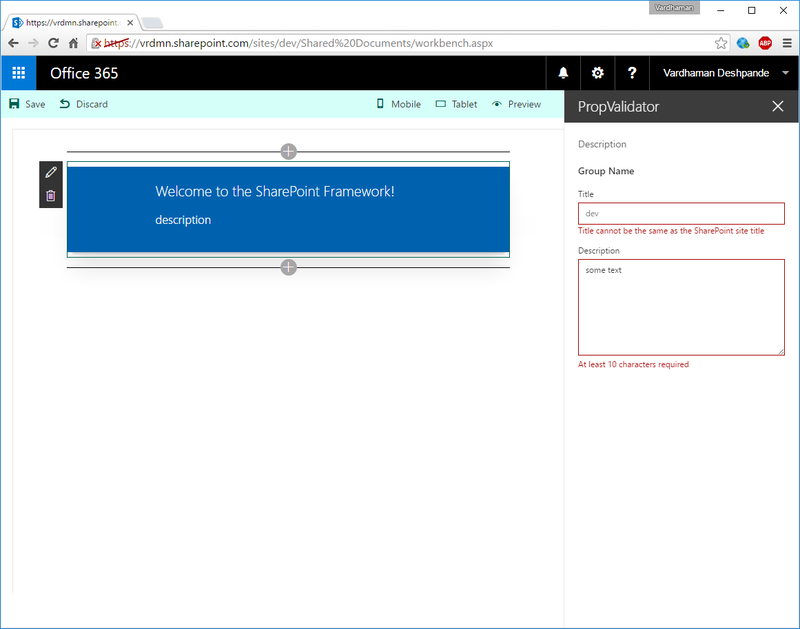 Validations can be added to the properties in the web part property pane of an SPFx webpart. The validation function can be Synchronous as well as Asynchronous. This means that we can immediately determine whether a property is valid or we can make an HTTP request (e.g. to SharePoint) and then determine if a property is valid depending on the response. In the following code, I have added a validation to the title property to make sure that it is not the same as the SharePoint site title. Also, I have added a validation to the description property making sure that it is not less than 10 characters. 2) When property pane is in Non-Reactive mode, the validation function should only fire when clicked on "Apply"
Hello, thanks for nice post, but Im looking for validator for form in UI(html content) web part(spfx&react) so is there any sample about it or do you have any idea how can I make it ?